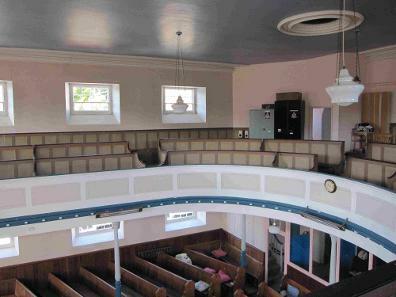 Above: The Wesleyan Chapel, West Street. The list begins with William Thoresby in 1802. In 1798 William Thorsby, a Minister of the Gospel, had married Mary Bickford in Ashburton. England and Wales non-conformist births and baptisms, available via Findmypast. William Thorsby, Dissenting Minister, was buried at Ashburton in August 1806. Joseph Sanders is shown as being at Ashburton in 1808-09 and 1821-23. In 1821 John Jenkins hoped to be appointed as a Wesleyan Minister abroad, but instead was appointed to the Ashburton Circuit. It covered a large area, and he travelled on average about 300 miles a month, with most places in the circuit being visited about once a fortnight (see below for the towns the circuit covered). 'The people are kind,' although he also speaks of 'painful circumstances' in one unnamed place, because the people resented the removal of the previous preachers. On another occasion he clashed with the local parson, 'who can hunt, drink, shoot etc. ', whilst attempting to preach in the centre of a town where revels were held and bulls baited. In the end he and his fellow preacher were hauled before the magistrates. He also relates tales of mortal danger in getting from place to place in adverse weather conditions. Unfortunately none of the locations are identified. A Memoir of the Rev. John Jenkins by George Jackson, 2nd edition 1832, p 20ff. In 1834 and 1835 the numbers in the congregation swelled when there was discontent with political meddling by the incumbent of St. Andrew's. At that time it was a 'small building in one of the back streets'. A new chapel was built to accommodate them all in West Street - it cost £1500. When William Horswell died in 1847 he was described as 'universally respected'. He had been the Wesleyan minister for some years. John Eddy, the son of Henry Eddy, painter, was badly hurt in July 1856. 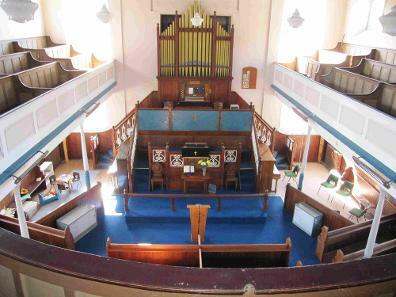 He had been painting the windows of the Wesleyan Chapel when the ladder slipped off. 1864 The Rev R Bloomfield 'preached two excellent discourses' at the Wesleyans' jubilee service. In 1869 the portico of the chapel needed partly rebuilding. 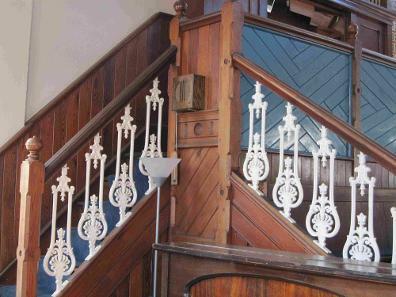 Mr H Eddy prepared the plans, and the work was to be undertaken by Mr Hext. The Rev. G F N Sherwell was one of those conducting the service for the funeral of T S Clarke in November 1892. The service for Mr Thomas Clarke was held in the chapel, before his burial in the churchyard. He had been superintendent of the Wesleyan School, on the school board, and an 'ardent worker' for Methodism. 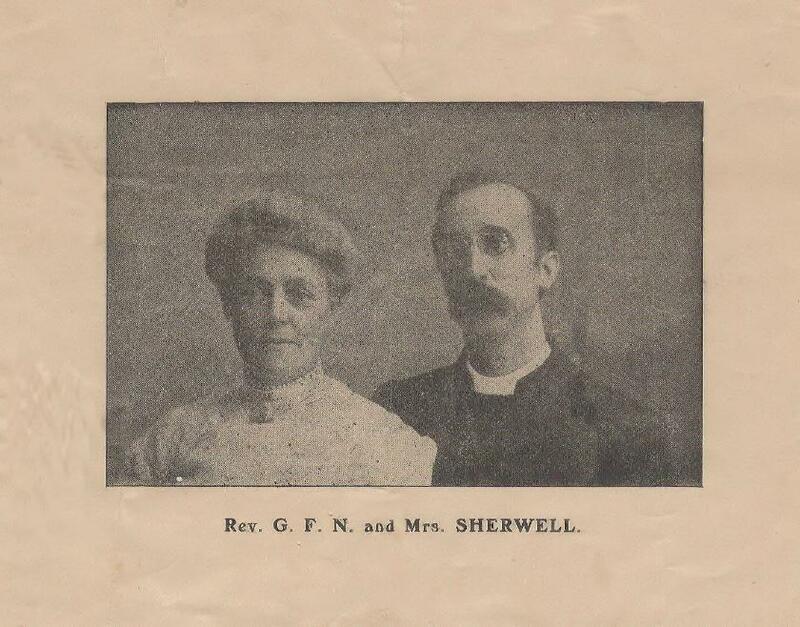 Above: The Rev G F N Sherwell and Mrs Sherwell. George Frederick Neale Sherwell was born on December 27th 1859, and was baptised in January 1860 in West Bromwich, Staffordshire. He was the son of George W and Mary Ann Sherwell. He was a Methodist minister living in Mickleton, Gloucestershire, in the 1891 census, and he married Harriet Ferriday* in the June quarter of that year. 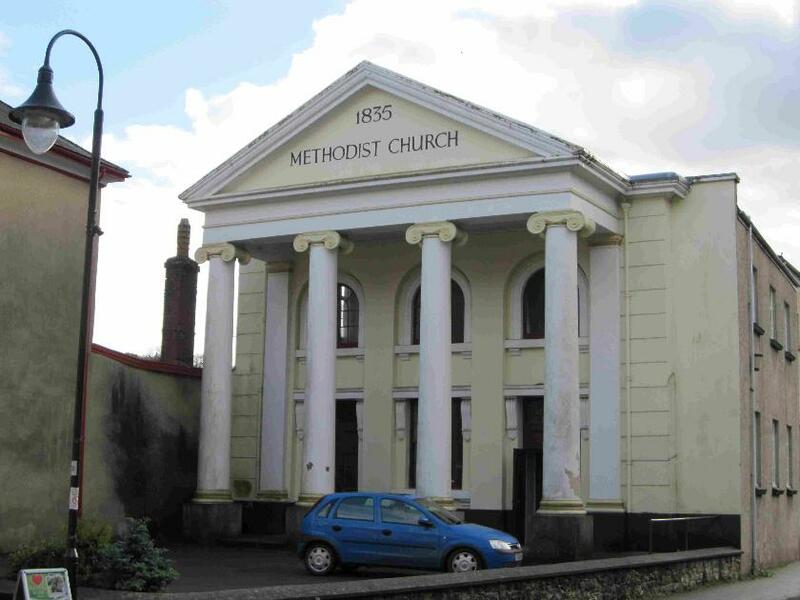 The birth of George Ferriday Sherwell was registered in the Newton Abbot district in the June quarter of 1895. The mother's maiden name was Ferriday. By 1898 G F N Sherwell was on the electoral register in the Witton ward of Cheshire. 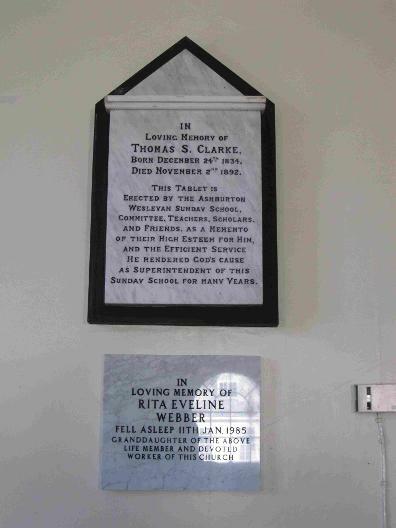 Right: Memorials to Thomas S Clarke, who died in 1892, and his granddaughter Rita Eveline Webber, who died in 1985. 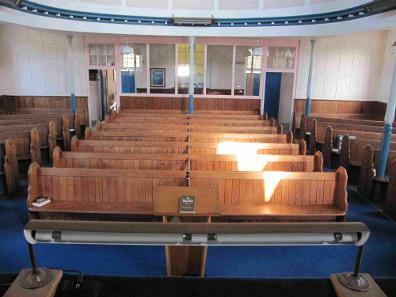 1896 saw the refurbishment of the Wesleyan Chapel. 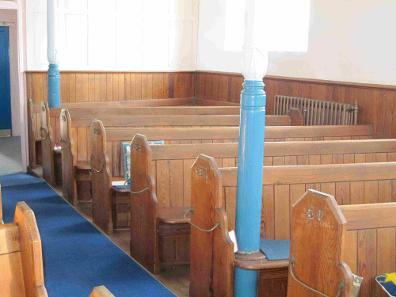 Open pews of pitch pine replaced box seats - each had an umbrella stand, and a frame to insert the occupants' names. A rostrum painted in green and chocolate took the place of the pulpit, and an alcove had an upholstered area for the preacher. The walls were decorated in green. Mr. Lear was the builder, and H. Boon the decorator. The plans had been prepared by S. Endacott. Leonard John William Babb is a Wesleyan minister in the 1911 census. Living at Mayflower, Ashburton, he is 27 years old. Above: Photograph taken in front of Ashburton Wesleyan Chapel c. 1914-15. 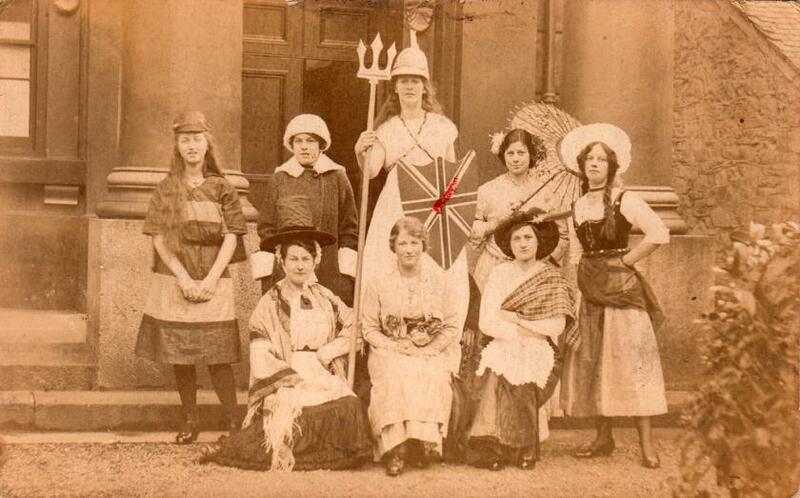 Mabel (Merrett) Rodgman is in the back row second from left as Miss Canada. Photographer Mrs A Hannaford, xxxxdenis Terrace, Ashburton (obliterated when pasted in a book). In a list of buildings of special architectural or historic interest, compiled under Section 30 of the Town and Country Planning Act 1947 and dated 1951.